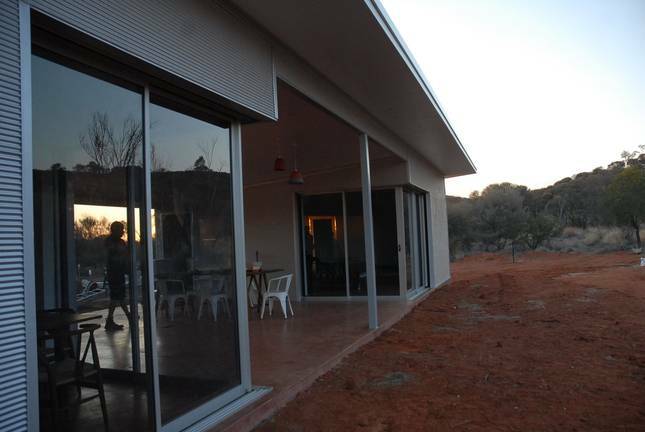 This unique central Australian accommodation is ideally positioned seven minutes drive from town centre of Alice Springs. The house is nestled amongst five acres of bushland and is fully secluded from neighbours on all sides. The Desert House was designed to give guests a unique experience that embraces the beauty of the Australian desert landscape, whilst still maintaining a high standard of luxury. Quality and stylish furnishings feature throughout the house with a fully equipped kitchen, 2 bedrooms with uninterrupted views of the mountains, air-conditioning, two wood burning heaters, security fly screens and a breezeway verandah area which includes a dining setting for eight.